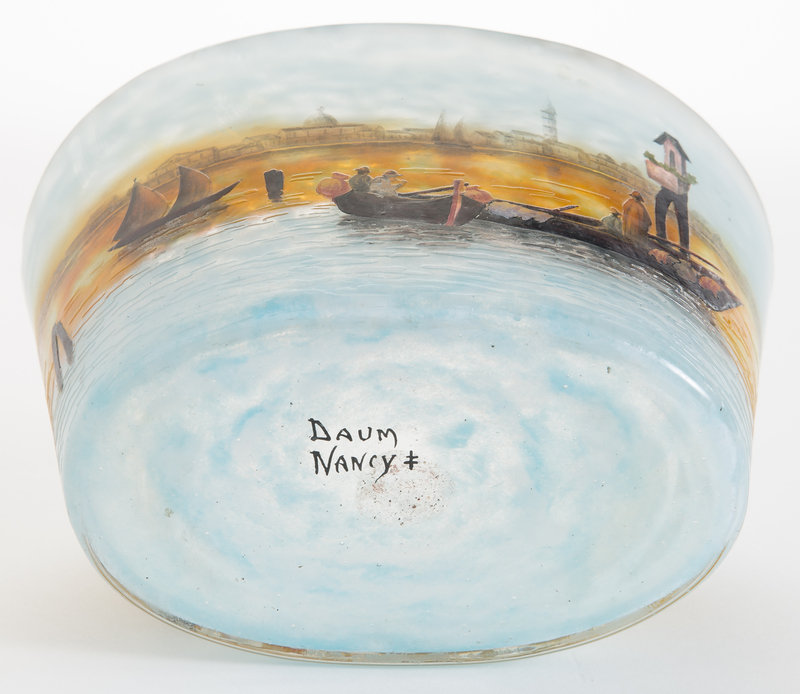 The first of two similar but not identical Daum Nancy bowls. 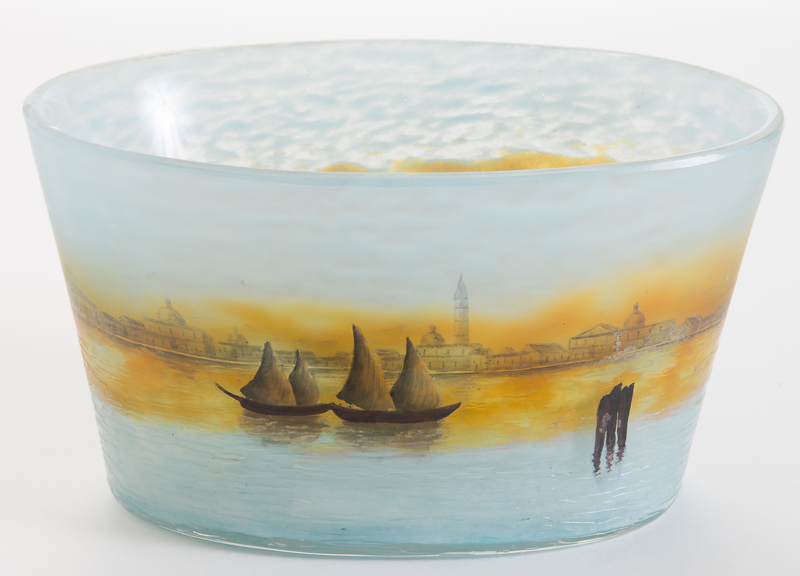 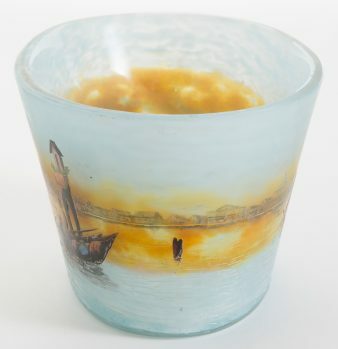 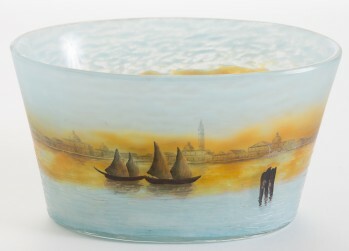 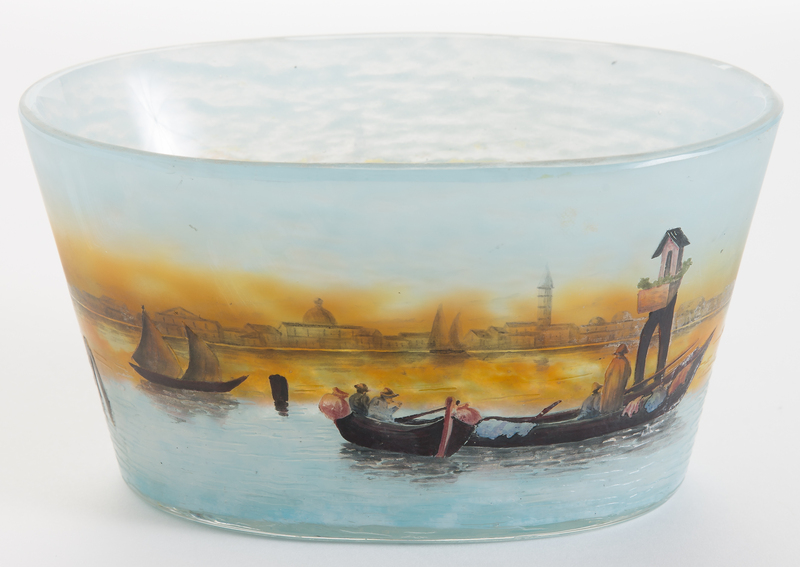 This piece has an exquisitely decorated Venetian scene showing four sailors on two different boats. 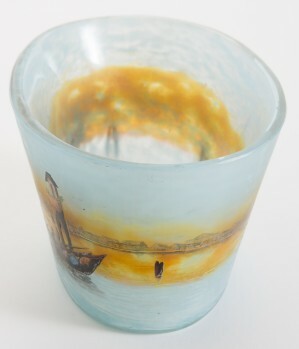 The rim has a very small chip that barely breaks the line of the rim. Signed Daum Nancy with Cross of Lorraine under base. 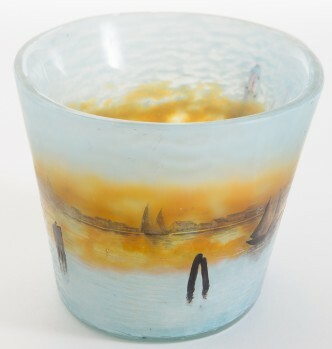 3.25" tall.